Crimson Sweet is just that! Exceptionally sweet, deep red flesh hides behind a distinctively dark green striped rind. Round melons can grow up to 25 pounds. A summertime favorite. Sugar Baby may be petite, but it is also mighty. Weighs about 8-10 lbs and measuring 6-8" in diameter. Sugar Baby is an "icebox" variety with strong dark green rind and bright red, sweet flesh. Can be successfully grown on a trellis. Black Diamond is sweet and juicy, averaging 35 to 40 lbs. The rind is nearly black, which makes it bruise resistant. An early variety, Bush Sugar Baby is the perfect size to fit in the refrigerator and grows on space saving vines only 3.5 feet long. Each plant produces two 12 pound round/oval dark green fruits with sweet scarlet flesh. Dixie Queen Watermelon is an earlier to harvest melon, giving you summer favorites before you know it. This heirloom has a crisp, red flesh, exceptionally sweet. Dixie Queen can reach 40-50 pounds in weight with dark green and ivory stripes. No summer is complete without watermelon! Kleckley Sweet is an excellent variety. Oval-round watermelon can weigh up to 30 lbs and bears a blue-green rind. Flesh is bright red, firm and sweet. Either by itself or in a fruit salad, enjoy a treat fresh from the garden. The leading variety for shipping and local market use east of the Rockies. Resistant to fusarium wilt. Fruits medium large, rounded oblong. Rind very pale, yellowish green with darker green veins. Flesh is bright pinkish red, crisp, sweet. The blocky oval fruit has dark green stripes and weighs 30-50 lbs. The flesh is bright red, firm, and very sweet. Disease resistant plants produce vigorous vines providing lots of sunburn protection. Best in areas with plenty of warm weather. This delicious, small fruited melon was developed especially for home gardeners. Medium red flesh, sweet tasting and not too seedy. Fruits grow 7-8" across and weigh about 10 lbs. Dark green, thin, hard, tough rind. Oval fruits weigh 20 lbs and have light grey-green leaves, darker veins. Pinkish-red flesh is crisp, of good quality, very sweet. You just can't beat the flavor and sweetness of home grown vine ripened watermelon. Exceptionally sweet, deep red flesh hides behind a distinctively dark green striped rind. Round melons can grow to 25 pounds. High in vitamins A, B, and C. A main-season favorite. This popular melon produces firm, crisp and bright red flesh. Oblong fruits with dark green stripes on a light green base weigh 25 pounds and more. Wilt resistant. Rich in vitamins A, B and C. This packet will plant approximately 10 hills. Its name describes this melon perfectly; Sugar Baby's flesh is very sweet, and the fruit grows to 8 pounds - just right for the refrigerator. Early season variety. High in vitamins A, B, and C.
TO PRODUCE SEEDLESS WATERMELON, A POLLINIZER IS REQUIRED. We recommend Sugar Baby. Ultra Cool produces 14- to 16-pound, dark green, striped watermelons. They are sweet, crisp and best of all... SEEDLESS. Medium-late variety, green-gray colored peel with dark stripes, pale red colored pulp, very juicy and sweet. Large, oblong 25-30 lb. striped melons grow to 17-19" long and 7" in diameter. Deliciously sweet, bright red flesh. Resistant to fusarium wilt and anthracnose. We searched the world to find the best organic seed - Burpee fully guarantees that not a drop of synthetic chemicals was used to make these excellent seeds. Certified Organic Seed. Sweet, fine-textured, medium-red flesh. The round, 12 lb., dark green skinned melons grow 8 in. across. Ready to harvest about 75 days after seeding. GARDEN HINTS: For early fruiting and to overcome a short growing season, plants may be started indoors in peat pots. Water during hot, dry periods. Fruits are large, 28-35 lbs., cylindrical-shaped, 24 in. long by 10 in. across. Flesh is Red, crisp, fiberless and delicious; skin is light greenish gray. Resistant to fusarium wilt, anthracnose and sunburn. Ready for harvest 85 days after sowing. GARDEN HINTS: For early fruiting or in a short growing season, plants may be started indoors in peat pots 3-4 weeks before last spring frost. Water during hot, dry periods. An All-America award winner in 1950, and hard to find these days, 'Congo' is one sweet, beautiful watermelon. Reaching up to 35 lbs. or more, 'Congo's oblong, medium-green fruits with dark green stripes are filled with firm, sweet, delicious red flesh with a high sugar content. Sweet! 90 days. Sweet, scarlet 'icebox' melons grow on space-saving vines only 3� ft long. Each one bears two 12 lb. melons. Burpee bred. After all danger of frost, sow 5 or 6 seeds in groups 6-8 ft apart . Gigantic, delicious watermelons, many over 200 lbs., are oblong and light green stripes. Ready to harvest 100 days after sowing. GARDEN HINTS: For early fruiting and to overcome a short growing season, start seeds in a warm, well-lighted indoor area 3-4 weeks before last spring frost. Before transfer to garden, accustom plants to outdoor conditions by moving to a sheltered area outside for a week. Grow on plastic mulch to control weeds, conserve soil moisture and protect fruit by keeping it off the ground. Round melons averaging 25 lbs. 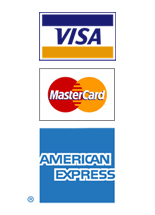 are light green with dark green stripes. Flesh is dark Red, firm and fine- textured. Resistant to fusarium wilt and anthracnose. Ready for harvest about 80 days after seeding. GARDEN HINTS: For early fruiting and to overcome a short growing season, plants may be started indoors in peat pots 3-4 weeks before last spring frost. Water during hot, dry periods. Personal sized 4-7 lb. seedless fruits with deep red flesh. Pollinator seed included. SOW in thoroughly warmed soil in full sun in spring after all danger of frost. Sow 4-6 seeds about 3" apart in hills 5-7' apart. Cover with 1" of fine soil; firm lightly and keep evenly moist. Seedlings emerge in 7-10 days. Large, oval shaped fruits have bright red, crisp flesh in grey green skin. SOW in thoroughly warmed soil in full sun in spring after all danger of frost. Sow 4-6 seeds about 3" apart in hills 5-7' apart. Cover with 1" of fine soil; firm lightly and keep evenly moist. Seedlings emerge in 7-10 days. Perfect for picnics! Large striped melons weigh about 25-28 pounds and are packed with very sweet flesh. High in vitamins A, B, and C. A main season favorite with melons that are 17-19 inches long and 7 inches in diameter. Very few seeds. Disease resistant. (aka Sun, Moon & Stars) Created a sensation when Seed Savers Exchange disseminated this legendary long-lost variety. Kent Whealy searched for years before rediscovering it on Merle Van Doren�s farm near Macon, Missouri. The 15" dark green oval fruits are covered with pea-sized bright yellow �stars� and usually one larger �moon.� Foliage is also spotted. The fruits have sweet pink flesh and brown seeds. 88�90 days. An outstanding little watermelon, with golden yellow rind and salmon pink flesh. Pleasantly sweet, about 3 pounds in weight. Bred by Elwyn Meader and Albert Yaeger at UNH in 1959; a cross between New Hampshire Midget and Pumpkin Rind. Has a built-in ripeness indicator: fruits turn yellow when ready. Very early variety, ripening in just 70 days. An extraordinary watermelon offered by the Willhite Seed Company in the early 1980s. Fiery orange flesh is sugary, delicious, and crisp. Large oblong fruits average 25 pounds. A reliable producer and Heritage Farm favorite. 90-100 days. In the early 1900s Chelsea, Iowa was famous for melons grown on the sandy hills north of town. Farmers would fill their horse-drawn �triple box� wagons in the field, haul them to town, and sell the melons right from the wagons. Today SSE member Marvin Kucera is the only person growing this watermelon in Chelsea. Sweet, pink-fleshed, 15-20 pound fruits with white seeds will keep for several weeks once picked. 90-100 days. Not your typical watermelon, white flesh is hard and tasteless when raw. Citron has been grown for centuries and used to make preserves, pickles, and �sweetmeats.� This variety has vivid red seeds and a light green rind with dark green stripes. Fruits can be stored for up to a year. Extremely productive, drought tolerant, and resilient. 90-100 days. A moon- and star-studded strain of the classic Moon and Stars watermelon. Eye-popping and scrumptious. Fruits are about 2' long and weigh 10-16 pounds. Bright pink sweet flesh, black seeds. Keep plants continuously well watered to achieve uniform elongated fruits. 95 days. �A midseason variety bred by Asgrow Seed Company and introduced in 1972. Peacock-type with uniform mildly sweet pink flesh and hard rind. Resistant to fusarium wilt. Well suited for shipping. 95 days. (aka Dixie Belle) Southern favorite introduced in 1923 by Hastings Seed Company of Atlanta, Georgia. One of the most popular watermelons during the 1930s and 1940s but now scarce. Round dark green fruits with sweet pink flesh average 30 pounds. Thick rind resists splitting, good choice for shipping or storage. Rind is also excellent for pickling. 80-95 days. 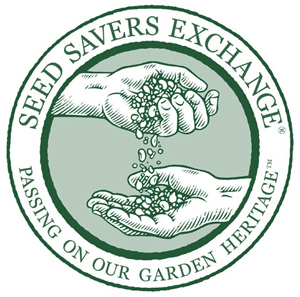 �Traditional Russian variety introduced to American gardeners by SSE in 1991. Round 10-12" fruits with a very dark green rind and sweet red flesh. Early maturing variety that is well suited for northerly gardens and high altitudes. Great little icebox melon, holds for several weeks after picking. 80-90 days. A Siberian heirloom imported in 1901. J.C. Robinson Seed Co. listed it in The Cucurbits Illustrated (1937). Obtained from the USDA by SSE member Glenn Drowns; reintroduced in 1987 by his Sand Hill Preservation Center in Calamus, Iowa. Green oblong watermelons weigh about 10 pounds. Flesh is very sweet, juicy, and apricot - colored. 80-85 days. Brought to Saskatchewan by Russian immigrants. Does well in cool northern climates. Round fruits up to 10" in diameter, 4-10 pounds. A rare treat with sweet white flesh, exceptional flavor. Pale green skin with dark stripes. Very thin rind, must be handled with care�strictly garden to table. 80-85 days. Introduced into the 1991 SSE Yearbook by Dr. Larry Woods from Georgia. Oblong 20-35 pound fruits with dark and light green stripes. Extra firm deep yellow flesh and black seeds. Quite productive, very high sugar content. 95-100 days. Bred by SSE member Glenn Drowns in the 1970s when he lived in northern Idaho, where summer nights average 43�F. Gorgeous green-black round fruits weigh 6-12 pounds. Deep scarlet flesh is super sweet, juicy, and crunchy. Perfect for short season areas; also does well in hot humid climates. 65-75 days.